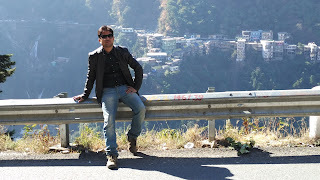 It was really an unusual day, I never wake up by 5 in the morning, but that day was special and well advanced plan at least we had planned for Mussorie the previous night at around 8:30PM to be precise. Christmas day, a long weekend ahead and what can be better than to have a getaway from Delhi to Mussoorie and that too with my love Royal Enfield Bullet - Classic 350. Gloves, Goggs, helmet all on and a backpack with a DSLR camera, a T-Shirt, Undies and an unforgettable wallet with some cash for my Queen Dug~Dug~Dug. It’s around 6:15am now, and we ‘the two riders’ left for the Queen of hills, with our Queens “Bullet Rani”. Mussoorie is almost 287 kms from Noida where we have our nests and took shelter in. So, approximately it was to take not more than 7 hours with all the halts and “Chai Paani Sutta” in the midways for us. So, we had planned to stay in Dehradun the “Christmas Day” and celebrate it in St. Francis Church. Again early in the morning temperature dipped to 3 degrees in Dehradun City and Hotel receptionist advised us to wait until sunrise and leave by 8am. Urrgh…. Have we been there to wait for sunrise? Of course NOT. 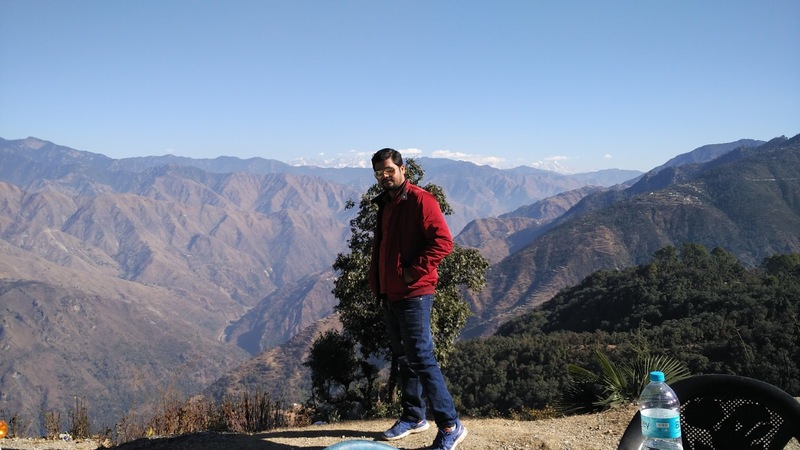 Mussoorie is around 41 kms from Dehradun and we are on. It was really really beautiful to see the unending hills. Horizons had to submit to these hills, to way far you can see, you have nothing but the tall standing hills adorned by foggy clouds. 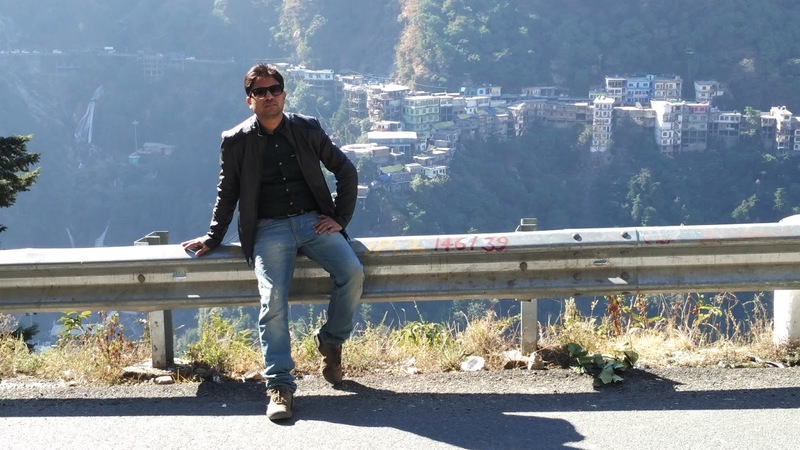 By the time we were left with only 7kms to Mussoorie we took a halt for our first cup of Morning tea. Did some crunches there and those crunches got clicked. We are now at the Mall road and we can see the beautiful sunrise from there. It was like the Queen(hills) is coming out with a big Red Bindi. 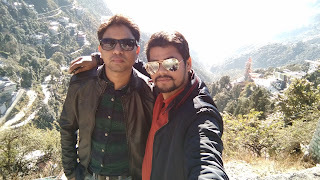 Couldn’t stop there for long, so again started our Dug~Dug~Dug and headed towards Company Garden, George Everest House, Jwala Devi Temple, Gun Hill, Haathi Paon and finally our destination “Kempty falls”, for which we had carried our undies so long. It’s really amazing to ride on hills with your queen (Bullet). 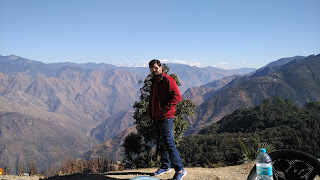 For me nothing can be as beautiful as this when you are among the Queen of hills watching the freezing Himalayan ranges with your own queen.